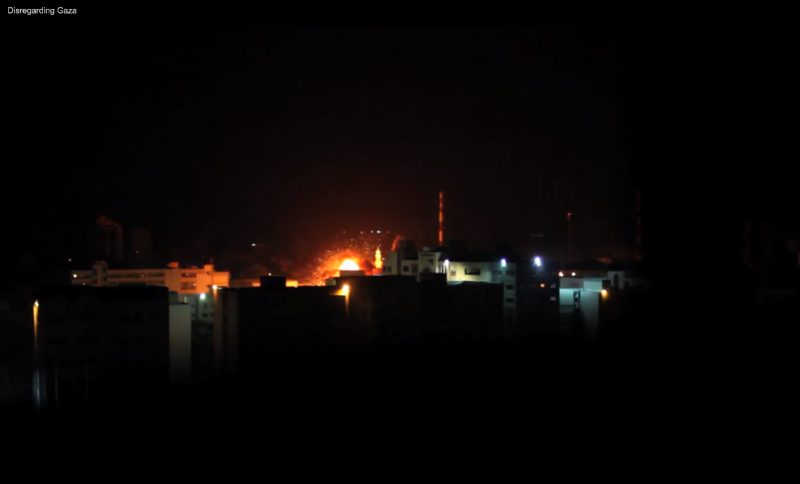 As Israel heads to the polls on Tuesday, the situation in Gaza is not on the agenda of any of the major parties. 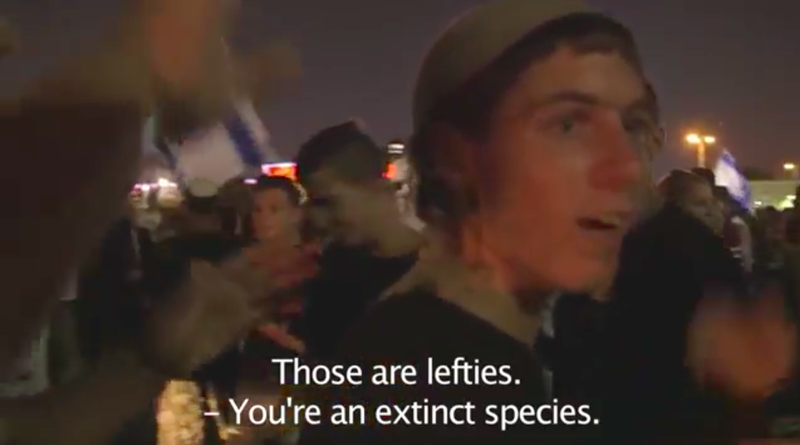 A new documentary, made by Israeli bloggers, asks why. 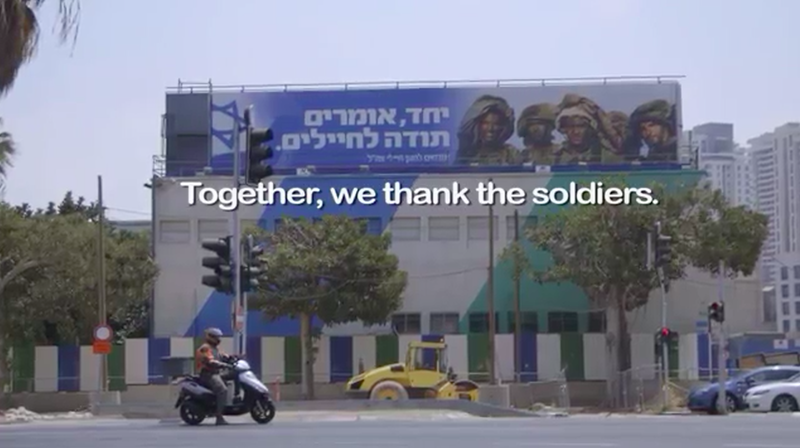 The short documentary, directed by Tamar Glezerman and Arianna LaPenne, poses the question: “Why is Gaza not an issue in the upcoming Israeli elections?”. 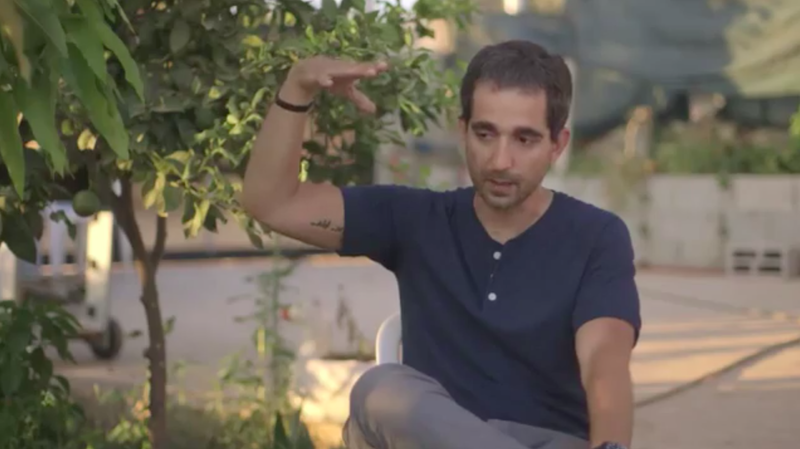 The documentary starts with a statistic which says that over 90 per cent of Israeli Jews supported the last war on Gaza, followed by the number of casualties on each side (72 Israelis and over 2,200 Palestinians). 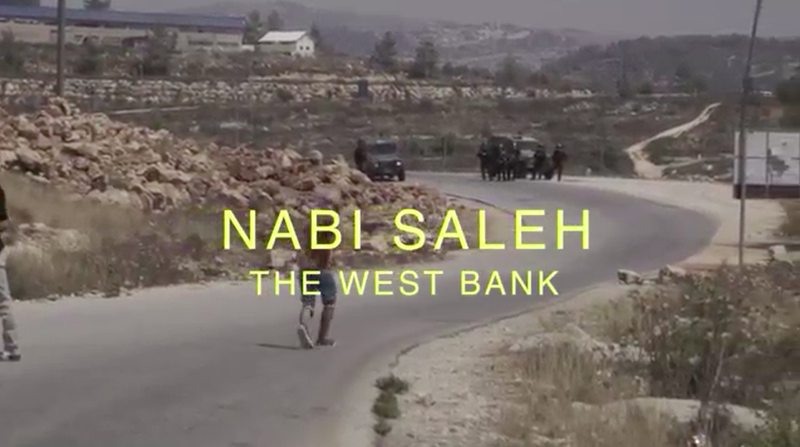 After showing the city of Tel Aviv as an air raid sirens tears into the background and Gaza under bombardment, the documentary takes us to Nabi Saleh in the West Bank, where a group of Palestinians and Israelis are protesting the occupation. Two photojournalists and members of ActiveStills, the Israeli-Palestinian collective which covers Israel and Palestine, Keren Manor and Oren Ziv, tell us how, in Ziv's words, most West Bank protests are “attacked and blocked by the army”. 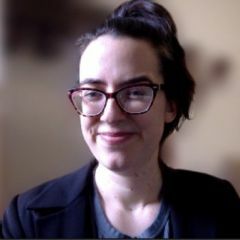 Tel Aviv-based +972 blogger Dahlia Scheindlin claims that the Israeli mainstream media “essentially portrays a very simple narrative that is constantly being reinforced”. Giving examples, she mentions the fact that Gaza has been under blockade since 2007 and the common occurrence of Palestinian non-violent actions such as diplomatic strategies and weekly unarmed demonstrations in the West Bank. 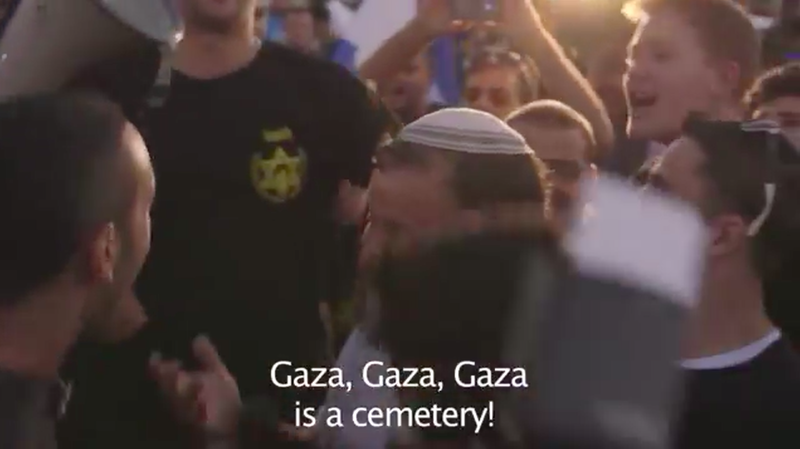 Screenshot from ‘Disregarding Gaza’ showing a Far-Right rally protesting a Mixed Jewish-Arab wedding. Haggai Matar, a Union Leader and +972 contributor, says that the Israeli military is seen as almost beyond criticism. “If they don't tell most of their horrifying stories that were happening in Gaza, then how can you expect people to criticize the war when they hear no criticism of the war on the media, when they don't hear the worst of details but only the IDF's spokesman's line?” he asks. 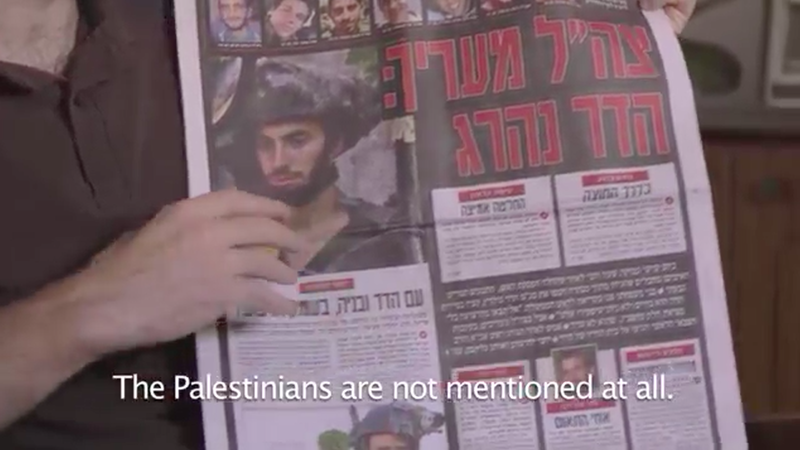 Screenshot from ‘Disregarding Gaza’ showing a panel encouraging Israelis to support the IDF. Oren Persico, +972 blogger and Media Critic, analyzed the way the Israeli media covered the war. 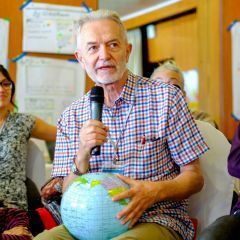 He compares the coverage of the Rafah Incident in which over 130 Palestinians in Gaza were massacred in a single day by the IDF in Yediot Aharonot and Israel Today, “which are read by 70pc of Israelis”, versus the coverage by Haaretz, read by 5pc of Israelis, “the elite.” The ‘incident’ was a result of Israel's infamous Hannibal Doctrine whereas the IDF would risk the life of one its soldiers to avoid dealing with a hostage situation. The soldier in question was Lt. Hadar Goldin, who ended up dying during the “massive use of infantry, artillery and air fire” in Rafah, as Jpost described it. Persico showed how Haaretz featured the captured soldier in its headline and relegated the news of “at least 123 dead in Rafah” to the bottom of the page. Yediot Aharonot on the other hand, dedicated its entire front page on that day to the abduction and made no mention of Palestinian casualties. And it's only on Page 8 of that same journal, in the middle of a commentary, that Yediot Aharonot mentions that “the IDF bombed heavily in Rafah”. 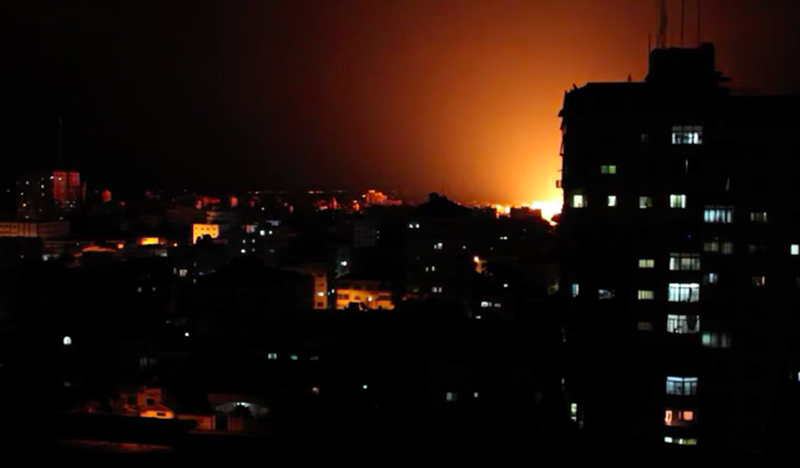 Screenshot from ‘Disregarding Gaza showing Samer Badawi explaining what it felt like to experience the shelling of the neighborhood he stayed in. 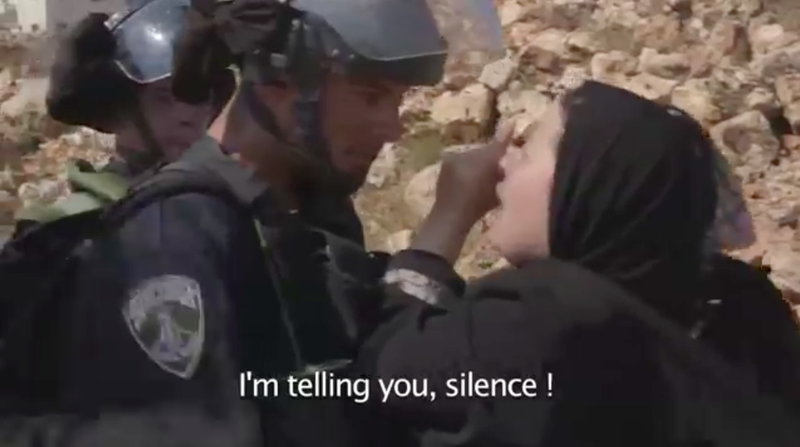 Screenshot from ‘Discarding Gaza showing a Palestinian mother confronting an IDF soldier.